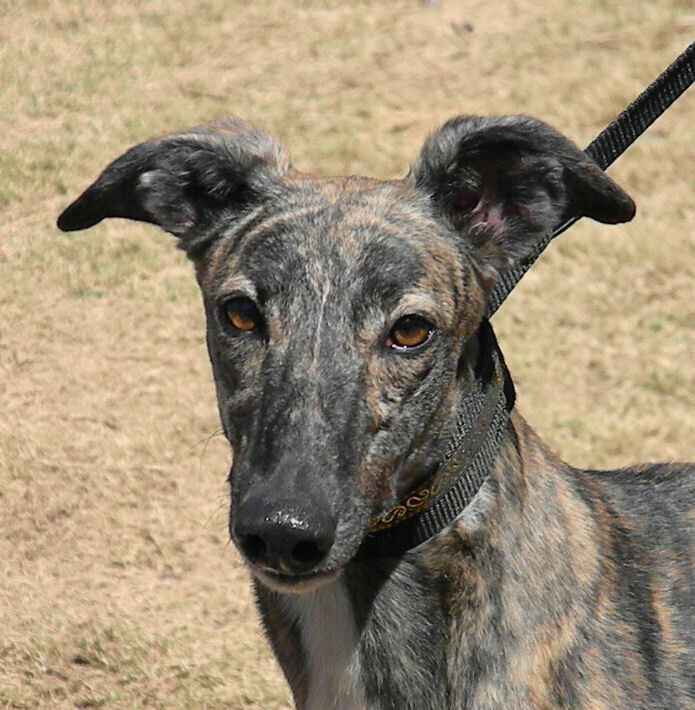 Reeann is a very pretty brindle girl with her Irish lineage, a dark face, a big white chest, and an unusually thick tail. 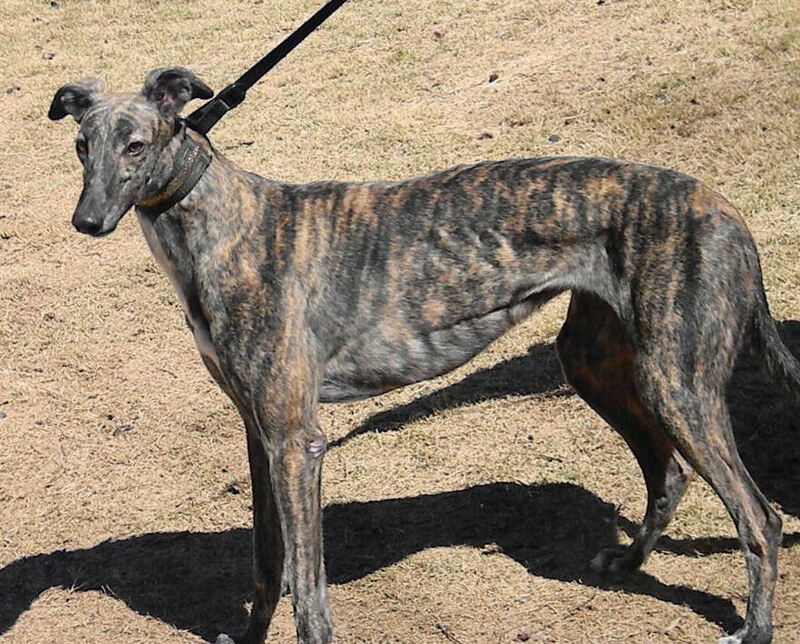 Between the Naples-Fort Meyers and the Jacksonville tracks she chalked up 213 races, earned a whopping 10.0 performance points, and came in “in the money” 51% of the time. She is affectionate, full of kisses, and very high spirited.